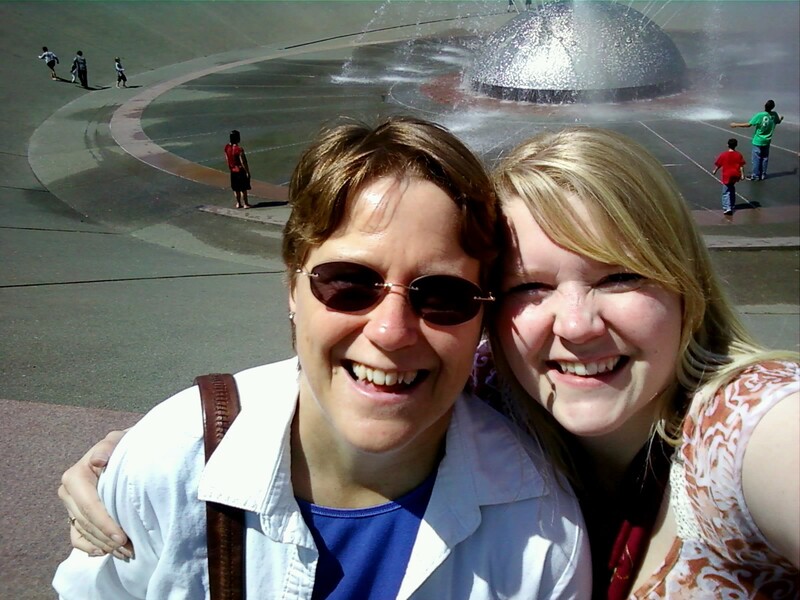 There was no post last week because for Mother’s Day my Mom and I met up in Seattle for a girl’s day out. Something we haven’t done for a long time. We spent Sunday in Seattle Center and in the Queen Anne area shopping (the Marketplace there is awesome and has really nummy gelato) and eating. We checked out Easy Street Records, my new favorite store, and picked up several great CD’s to jam with on the drive home. If you love music and haven’t been to this place you have to go. 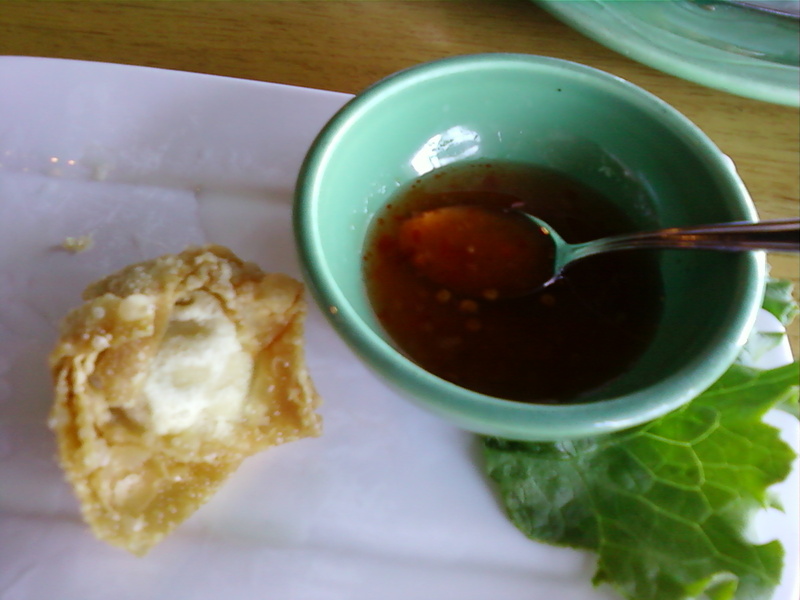 Before we shopped we ate lunch at Racha Noodles and Thai Cuisine. 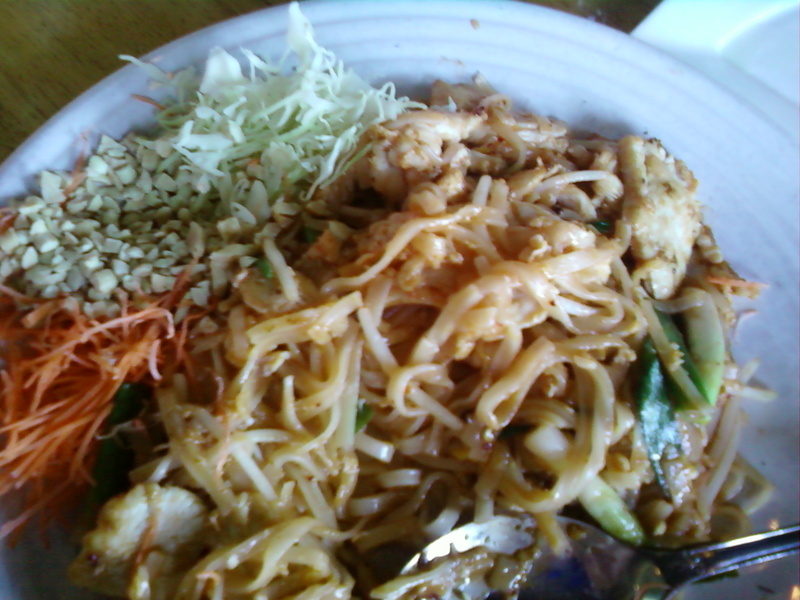 Probably the best Thai I have ever eaten. 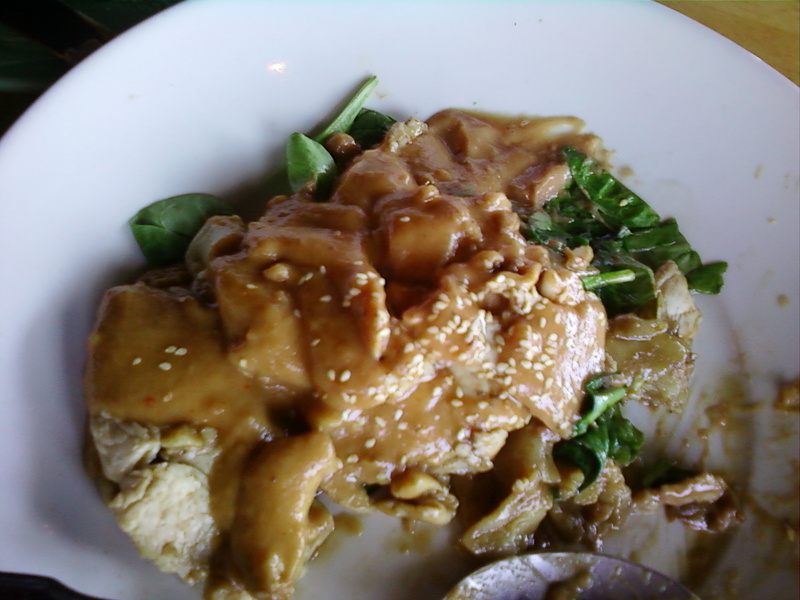 I had Pud Thai and Mom had the Racha Special dish with spinach, wide noodles and chicken breast, all topped with peanut sauce (her fav). 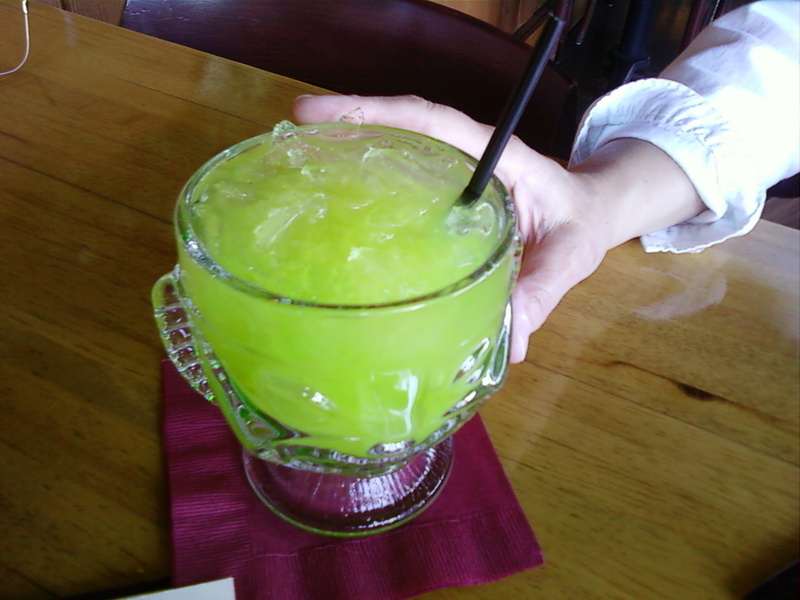 She had the Racha Special to drink and it was so beautiful. See pictures below! After lunch and shopping we headed to the fountain by Key Arena to wait for the James Taylor/Carole King concert to start. We really enjoyed watching the kids play in the water and attempting to do some self shots (inspired by Eliza, of course). Then we headed in to the arena. The concert was amazing! Mom had seen James Taylor before so it might not have been as mind-blowing to her as it was to me. I was just taken aback by how fantastic these legends still are! No offense James and Carole, but you’re no spring chickens, but you still got it!!! BIG TIME! After the concert we were hungry (no WAY we were going to spend money in the arena-robbers, all of them!) so on a recommendation from the hotel desk clerk we headed across the lake to Joey’s. Salad, nachos, and a drink for each of us really hit the spot. We walked back to the hotel and crashed (I did at least-Mom was coughing all night so I don’t see how she got any sleep, poor thing). Monday morning we got up and headed in search of breakfast. 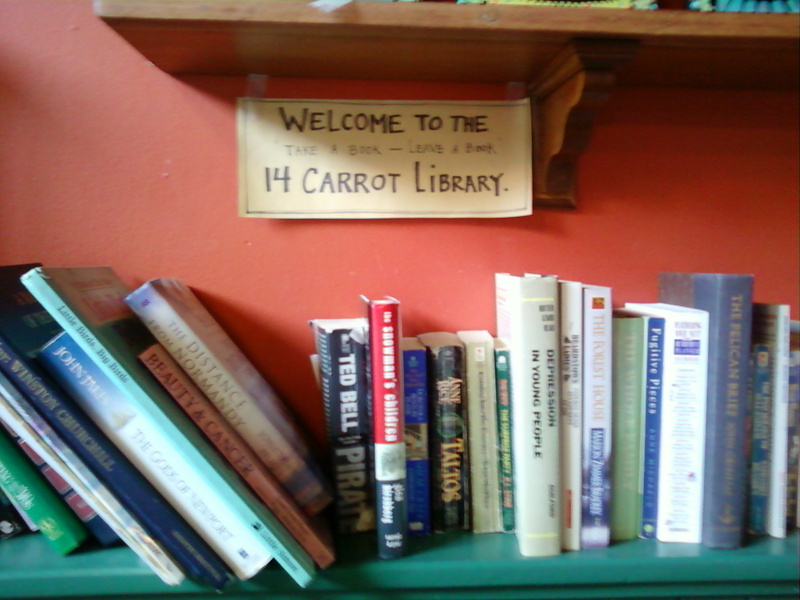 We ended up at 14 Carrot Cafe in Eastlake for biscuits and gravy and huevos rancheros. SO good! Very non-traditional versions of things, but a must try! 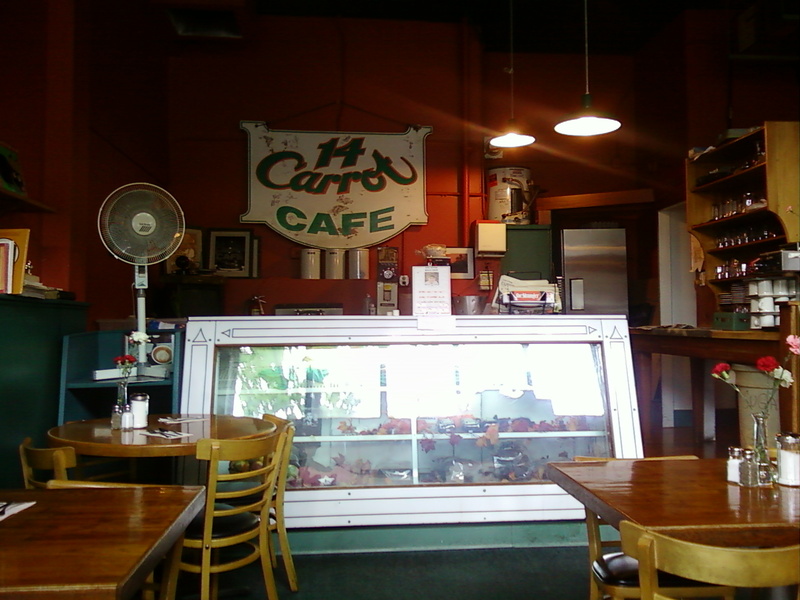 After breakfast we headed home. Sad. 😦 It was such a fantastic weekend we’re going to have to make it a tradition. Now on to charbroiled burgers and chocolate chip cookies. After a grueling day of yard saling (if you could even call it that) we decided to fire up the charcoal grill and grill burgers on it for the first time. I’m the burger queen, according to Kev so he prepped the grill and I did the rest. It was actually a lot easier than grilling on propane and so much tastier. The store didn’t have any good ground turkey when we were there so we got organic ground beef instead. A special treat. 🙂 I mixed about 1/2 tsp garlic and onion medley, 1/4 tsp seasoning salt, 1/4 tsp fresh ground black pepper, and about 1/2 tsp Worcestershire sauce into the meat before making them patties. 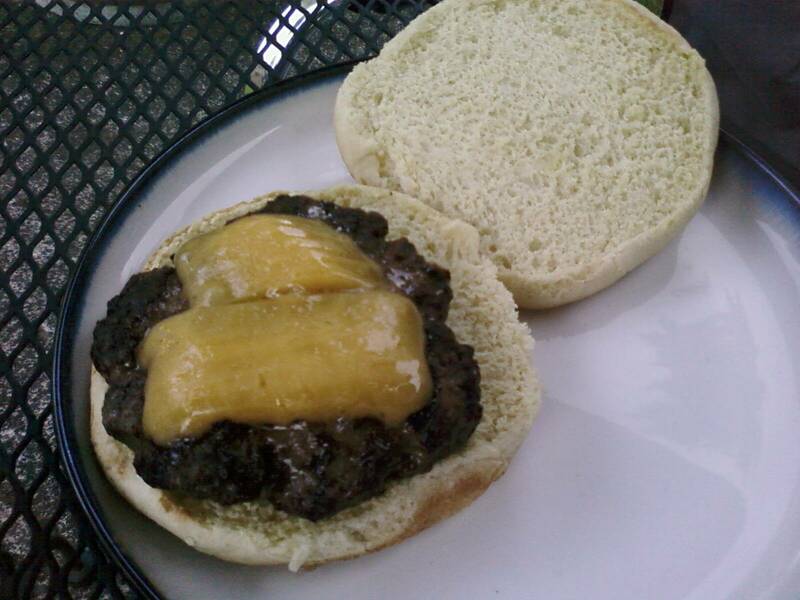 I sprinkled a little cayenne pepper on Kev’s patty since he likes a little heat. Once the grill was ready to go (Kev insists I mention how impatient I am waiting for the grill to be ready) I cooked the burgers for about 5 minutes on one side, then flipped them and cooked them about 4 minutes on the other side, putting cheese on top about 2 minutes before they were done. They were actually a little too done so next time I’ll cook them 4 minutes on one side, flip them and cook them 3 or 4 minutes on the next side, putting the cheese on as soon as I flip them. Regardless of the done-ness the taste was awesome! 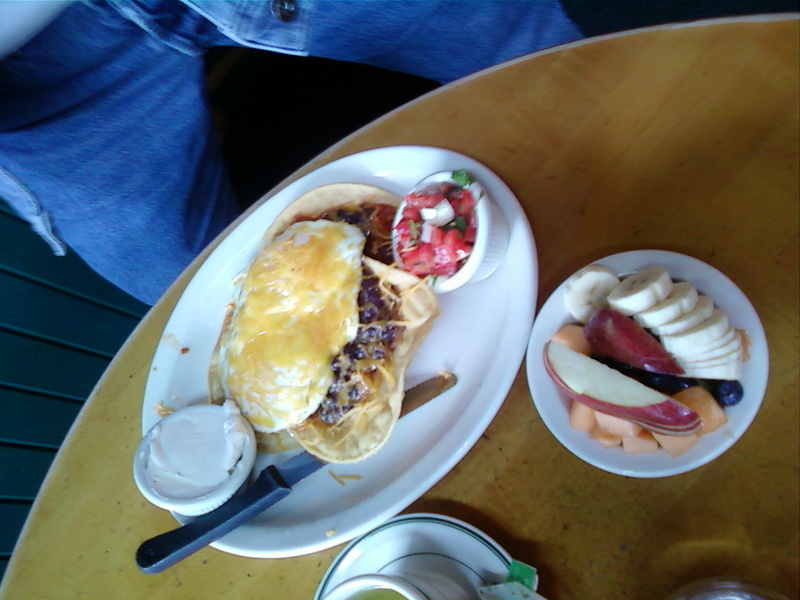 Kev topped his with sweet onions, tomatoes, ketchup, mustard, and mayo. Mine was topped with barbecue sauce. Simple. 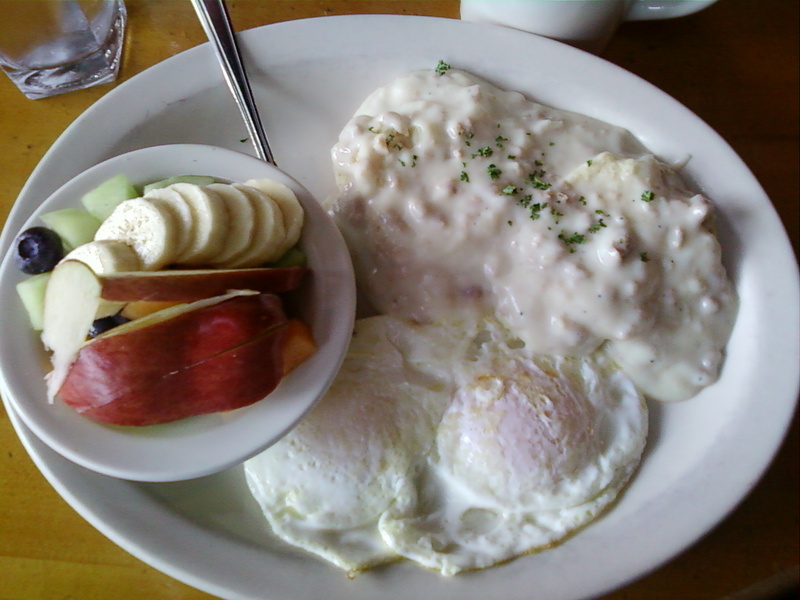 Categories: Baking, Cooking, Food | Tags: mother's day, restaurants, seattle | Permalink.